Paul Lawrie's £2.2m mansion, Brackenhill, is on the market. 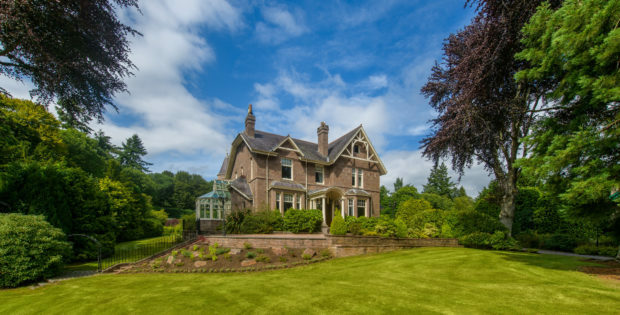 The sports star snapped up the five-bedroom Bieldside property for close to £1m after lifting one of golf’s most prestigious trophies at Carnoustie in 1999. And after signing the lease, he set aside another £160,000 to furnish the 122-year-old property. Described by estate agent Savills as a “magnificent detached late Victorian villa” it includes a gym, games room and United States Golf Association-spec putting green, bunker and fairway. After making their way through the wrought-iron automatic gates and up the driveway towards the “imposing” house, visitors are greeted with an “elegant stepped and pillared entrance” and vestibule with “beautifully restored” herringbone-style parquet flooring. Among the other highlights are a library with a corner turret window providing a “tranquil outlook” over the gardens and handcrafted bookshelves. The “old meets new” combination is furthered with the original servants’ bell system and maid’s quarters, which have both been retained over the decades. Heading upstairs in the 5,135sq ft house, Mr Lawrie has decked out an extensive attic games room with a full-sized antique Burroughes & Watts snooker table – included in the sale – and custom-built canopy lights and seating. Outside the property boars “majestic trees”, lawns surrounded by “herbaceous borders” and a “formal” garden area with a pario and gazebo. Fiona Gormley from Savills has hailed the house as an “exceptional property”. She said: “A particularly attractive period house in this area, immaculately presented is always of interest.